Federal Reserve Chairman Jerome Powell says U.S. central bank officials discussed the possibility of ending the reduction of the Fed balance sheet. Powell told reporters that no decision had been made regarding the $4 trillion balance sheet at the two-day meeting that concluded Wednesday, even though Fed officials are talking about its optimal size. The balance sheet ballooned to as much as $4.5 trillion as the Fed purchased U.S. Treasury notes and mortgage-backed securities in order to support the economy after the financial crisis. Some market participants estimate that the balance sheet should only be reduced to $3.5 trillion, well above its $900 billion level when the recession struck in 2007. Investors liked what they heard from the Federal Reserve and sent stocks higher after the central bank indicated it would hold off on raising interest rates for the time being. The Dow Jones Industrial added more than 170 points to its afternoon gain Wednesday after the Fed released its policy statement. The Dow was up 431 points, or 1.8 percent, at 25,009. Other indexes also added to their gains. The dollar weakened against other currencies as traders anticipated that U.S. interest rates would remain low for longer than previously expected. The Fed also said Wednesday that it is prepared to adjust how fast its bond holdings would decline, if necessary. That would help keep long-term interest rates, such as those on mortgages, from rising too fast. The Federal Reserve says it will be patient in deciding any changes to short term interest rates, a sign that the U.S. central bank has become cautious after raising rates four times in 2018. The central bank issued a separate statement about its plans to reduce its balance sheet of U.S. Treasury notes and mortgage-backed securities. Fed officials said they are prepared to adjust “any of the details” of the central bank’s current balance sheet reduction in light of economic and financial developments. But, they added, interest rates will remain their primary vehicle for maximizing employment and holding inflation in check. Stock markets are up slightly ahead of the U.S. Federal Reserve’s interest rate announcement and the subsequent news conference by Chairman Jerome Powell. Investors expect the central bank to keep its rates on hold but will be looking for Powell to confirm that any further hikes will be gradual. Concerns about the pace of rate increases, which can make borrowing more expensive and cool off economic growth, had last year sent stock markets into a tailspin. Dow and S&P 500 futures are both up 0.3 percent ahead of Wall Street’s open later Wednesday. 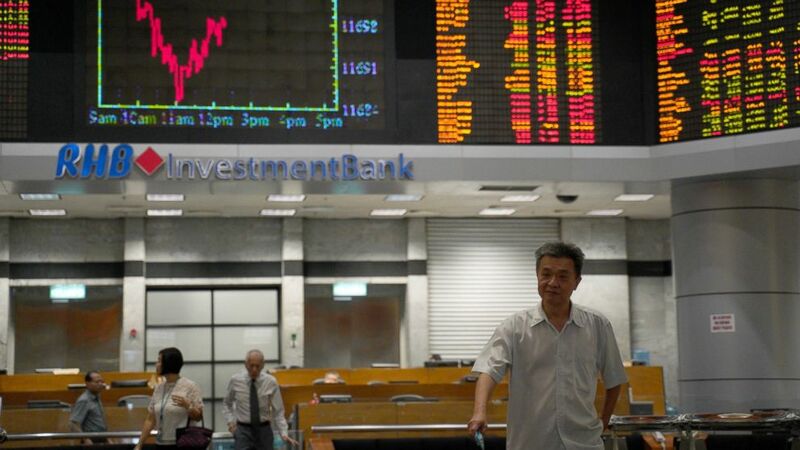 Asian indexes mostly closed higher and European markets are largely rising. France’s CAC 40 is up 0.5 percent and Britain’s FTSE 100 is 0.8 percent higher, though Germany’s DAX is down 0.2 percent. With the Federal Reserve considered sure to leave interest rates unchanged Wednesday, investors will be hoping to hear Chairman Jerome Powell sound a reassuring theme that a pause in the Fed’s rate hikes could last a while. Powell has been invoking the word “patient” to describe the Fed’s latest approach to rates increases. It’s a word he adopted this month after the Fed’s string of four rate hikes last year had helped send the stock market into a tailspin over fear that the central bank might be tightening credit too aggressively. The Fed will issue Wednesday a policy statement outlining its views on the state of the economy and likely announcing that it will leave its benchmark rate unchanged. Powell will then give a news conference, beginning a policy of speaking with reporters after each of the Fed’s eight meetings every year, rather than only four times a year. Marie Kondo Wants Us To Thank Our Belongings. But Does It Really Help? McCain hated Obamacare. He also saved it. August 27, 2018 Comments Off on McCain hated Obamacare. He also saved it.